We are 30 something, single income family of two. We live in rented apartment, never been in debt, even saving to buy our first house without mortgage. Naturally, we know how to handle credit responsibly. Due to my upbringing in a lower middle class family in India, I know what is essential and what’s luxury, which is quiet different from what average American perception of luxury vs. need is. I know a $20 Armitron watch keeps better timing than a $5,000 Rolex, similarly, a $30 buttoned down formal shirt is same as, or, better than a $80 Ralph Lauren shirt. We use 4 credit cards Chase Freedom Visa card, American Express Gold, Citi Bank Select platinum and Bank of America American Express Platinum, also, I have B of A Visa and Chase visa debit cards. Only AMEX gold require an annual fee, rest are fee free. We seldom use debit card, mainly because I am seriously after cash back or rewards points, our credit cards offer. We do have ‘Auto Pay’ set up on all of credit cards where by the entire card balance, is deducted from our checking account, before they start accruing fees and interests. We do not have to remember to pay the bill every month. I check online accounts for accuracy every week though. The other reason I keep 4 credit cards is I can build up my credit score by using them and paying the dues on time. Having higher credit line ensures that debit to credit ratio is in healthier territory. Having 4 cards with combined limit of $185,000 and spending $2000 per month is by far better than having one card with $25,000 credit limit and spending $2,000 out of it, in terms of debit to credit ratio. Since we have auto pay set up on all the cards, we never paid any interest or late fee. We keep the reward points and use it towards cash back. Chase freedom card is definitely my trusted companion for this purpose and in last 7 years we received more than $2,500 cash back. What should you use? A Credit card or a Debit card? You probably heard advice in favor of using debit cards all the time. In fact they are right, credit cards are the main reason behind debt. If you are like us, I’d say go for credit cards. Unfortunately I can’t suggest that to my readers. I never make offensive statements and avoid strong statements in this blog. This time let me state that Debit cards are for weak hearted, the people who succumb to impulses all the time. Credit card are for people with strong will. The people who set out a budget and do not go over the limit. The weak people think credit card is easy money. They don’t want to remember that the easy money has to be paid on time, else the money would accrue interest. The weak people want to live beyond their means. If you think that you can only buy things that you can pay off by the end of the month, should you use credit cards. Given there are all sorts of people around. Some of you might have become stronger now after facing debt problems, etc. 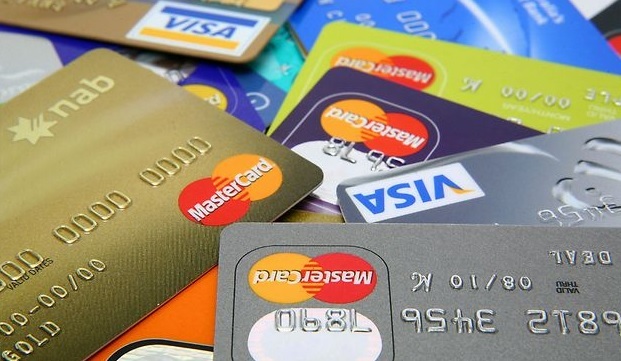 I listed some of the situations where you might want to use credit cards over debit cards. If you made a money mistakes in the past and now your credit score is lower than you’d like to have, using credit card can help your score go up, as long as you don’t become delinquent again. Debit card usage and payments are usually not reported to the credit-reporting agencies. Using your credit card and paying the bill in full, on time every month helps building good, credit history, which increases credit score over time. Many credit cards offer excellent rewards programs where you can redeem points for buying merchandise, flight tickets, hotels stays, electronics, clothing and appliances, or even cash backs, which I particularly like. I swipe my card even for a $2 fries at McDonald. Charging most purchases, including recurring household expenses like paying cable bill or internet bill helps racking up reward points. I pay my Comcast internet and At&T cell phone bills using Chase card, which gives 1% cash back on all regular purchases. So our monthly expenditure of $200 (give or take something) on these two items essentially becomes $198. Some credit cards do offer warranty protection over what is provided by the manufacturer or the retailer. When you use credit card to purchase your new music system or a laptop computer, you’ll receive extended warranty coverage. My AMEX Gold card offer this protection. Although I haven’t purchased an expensive item since I started using AMEX in 2010, if there’s a need in future, I will. Credit cards helps the hotels to charge you for the services you use during your stay or damages you may cause during your stay. For example, the $10 water bottle from your in-room freezer can be easily charged back to your credit card, compared to your debit card which has a limited balance. Using credit cards for rental car is of big advantage for their added insurance protection they offer at no cost. I use Chase freedom Visa card for all of our rental car needs. When you buy things from a store, you leave the shop with the things in hand. If you make a purchase online, you’re taking a little risk since can’t examine the actual product until it arrives at your home a few days later. Using a credit card while shopping online protects against damaged and lost products. You can always call up the card issuing company and ask for a refund on the statement. In most cases you will not be required to show a proof. Just don’t make it a habit.. you know. Otherwise, once you use a debit card to make the purchase, funds are immediately deducted from your checking account or prepaid limit. You’re at the mercy of the merchant to get the refund for damaged or missing goods. At the end, do consider my statement above, for strong willed persons, using credit card always is a better option, they may not at all use debit cards, unless there is a usage charge, like our FPL account charges $2 if you pay electric bills using credit cards. Readers, what other scenarios you can think of, when using credit cards is preferable option for average Americans, over debit cards or cash? Or, are you a pure credit card user, like me? Personally, I only use debit. However, credit is fine in some situations. Credit cards earn rewards. Who wouldn’t want to use them? But, it’s important to stay in budget! Thanks for the great post! 99% of my purchases are via credit card. The remaining 1% is by cash and only done at places that don’t take credit cards. I never use a debit card. To me, the advantages of credit cards are vastly superior to debit cards. I used to be a credit card rewards guy, but obviously I am one of the weak. Changing our spending method to debit-only really helped my wife and I keep the bottom line in view and we soon found that we were saving much more than the rewards points had been helping us. Lesson learned. What a great post indeed, Personally I used both, and I have no problem with it. The other point a bit related to the online shopping item you mentioned is a fraud risk. If someone fraudulently uses your debit card, your money are irreversibly gone. With credit card you can call the bank and they refund you. A few times it happened to me that someone started charging my credit card although I had the card still in my possession, so evidently someone got my CC number and details probably from online shopping or otherwise. The bank returned money almost immediately to my account and replaced the card. I try saving money for my purchase first and then use a credit card to pay for it. When the bill arrives I use savings to pay the bill off. Works well although I am not fully there and still fighting with my old debt.